A three bedroom semi detached property with gated off road parking and a family sized rear garden. 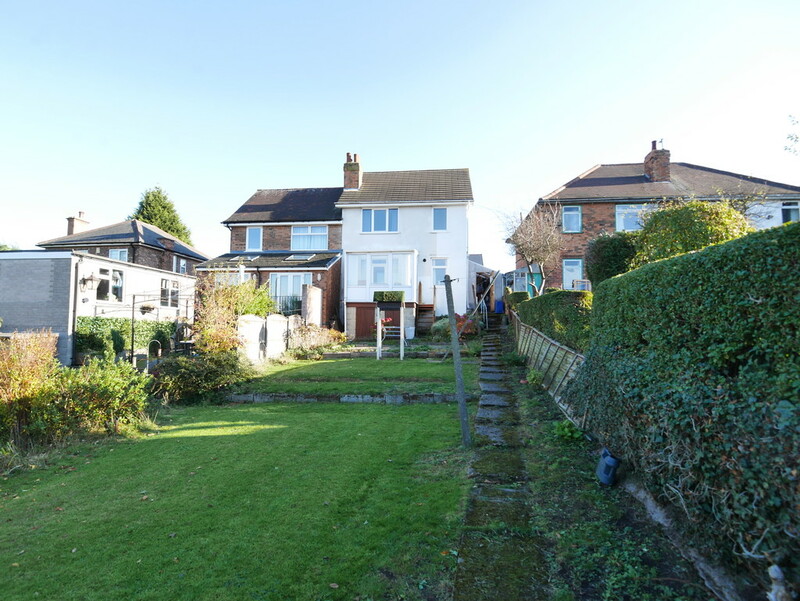 The property offers the new owners a great opportunity to modernise and create their perfect property in a really popular location close to excellent family friendly amenities. 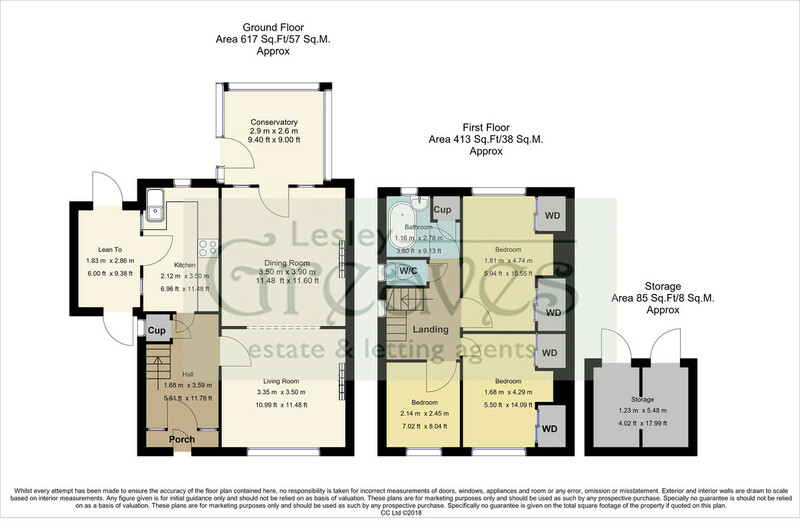 In brief the accommodation comprises entrance porch, reception hallway, lounge/dining room, kitchen and outside utility/store completes the ground floor. To the first floor there are three good sized bedrooms, family bathroom and separate WC. ENTRANCE PORCH uPVC double glazed entrance door with matching side windows, terazo style tiled floor and wooden single glazed entrance door with coloured leaded side windows through to the reception hallway. RECEPTION HALLWAY Balustraded stairs to the first floor, electric consumer unit, radiator and under stair cupboard. LOUNGE 11′ 6″ (in to alcove) x 11′ 4″ (3.51m x 3.47m) uPVC double glazed window to the front, radiator, electric fire suite and open through to the dining room. DINING ROOM 12′ 5″ x 11′ 5″ (in to alcove) (3.79m x 3.50m) Single glazed window and door through to the conservatory, radiator and fireplace with inset electric fire. CONSERVATORY 9′ 8″ x 8′ 7″ (2.95m x 2.63m) uPVC conservatory with double glazed windows overlooking the rear garden and door to the side elevation, radiator and power sockets. KITCHEN 11′ 6″ x 6′ 10″ (3.52m x 2.10m) Fitted with a range of cupboards with work surfaces over, space for a free standing cooker, serving hatch, , space for a fridge freezer, stainless steel sink unit and drainer, tiled splashbacks, dual aspect uPVC double glazed windows, opaque single glazed window and door through to the side lean to/utility area. LEAN TO/UTILITY 10′ 8″ x 5′ 11″ (3.26m x 1.82m) Doors to both the front storage area and to the rear garden, plumbing for a washing machine and space for a tumble dryer. FIRST FLOOR LANDING Opaque uPVC double glazed window to the side and loft access. BEDROOM ONE 11′ 5″ x 10′ 4″ (to chimney breast) (3.48m x 3.15m) uPVC double glazed window to the front, radiator and built-in cupboards. BEDROOM TWO 12′ 6″ x 10′ 4″ (3.82m x 3.17m) uPVC double glazed window to the rear, radiator and built in cupboards. BEDROOM THREE 8′ 1″ x 6′ 11″ (2.47m x 2.11m) uPVC double glazed window to the front and radiator. BATHROOM Fitted with a coloured suite comprising panelled bath and vanity with inset wash basin, airing cupboard and opaque uPVC. SEPARATE WC Low flush WC and opaque uPVC double glazed window. OUTSIDE Walled garden to the front with a gated driveway. To the rear is a good sized garden with a patio and large lawn. There are also useful storage areas underneath the property.